The United Arab Emirates’ (‘UAE’) recent efforts to eradicate financial crime has been enshrined in the issuance of new legislation and policy that are aimed at protecting the country’s public funds from criminal abuse. As part of this effort, on the 14 April 2018, His Highness Sheikh Mohammed Bin Rashid Al Maktoum (Ruler of Dubai, Vice President and Prime Minister of the UAE) issued Dubai Law No. 4 of 2018 establishing the Financial Audit Authority (‘FAA’). 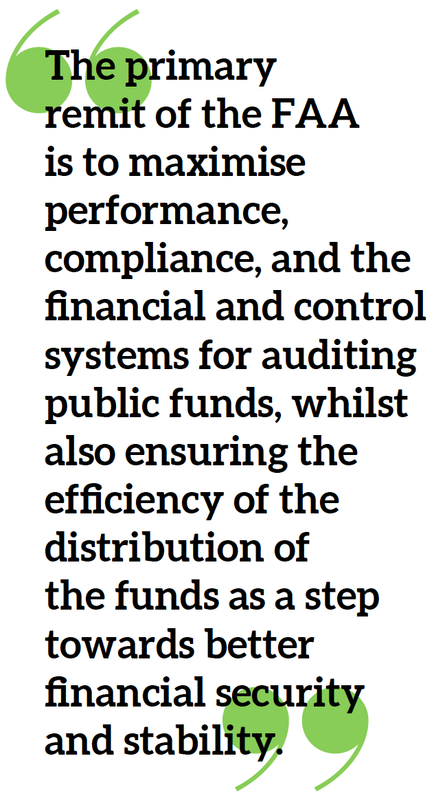 The primary remit of the FAA is to maximise performance, compliance, and the financial and control systems for auditing public funds, whilst also ensuring the efficiency of the distribution of the funds as a step towards better financial security and stability. The newly recognised FAA substitutes the previously known Financial Audit Department (‘FAD’), established in 2007.
evasion of tax and customs’ duties. From a more practical perspective, the FAA aims to control and supervise public funds, promote transparency, control and risk management, and combat all methods of financial and administrative violations and corruption. These multifarious objectives are contained within the 47 Articles that make up the bulk of the Dubai Law No. 4 of 2018 (‘FAA Law’), outlining all the controlled entities and authority’s obligations, liabilities and restrictions. The legislation has been drafted with the intent to provide greater recognition of the FAA, both in terms of granting it higher authority whilst simultaneously assuring the quality of its work with more advanced and precise duties, structure, functions of its key people, the entities controlled by the FAA and auditing works. In line with the evolution of financial crime threats, it is necessary for the UAE to continuously extend its defences and efforts in combating financial crimes in the country by continuously updating and improving its laws and the authorities that supervise the financial flow in the country, notwithstanding the existence of analogous laws prior to the FAA Law. Dubai Law No. 1 of 1995 establishing the FAD was the first law to introduce an authority with auditory powers, followed by Dubai Law No. 3 of 2007 and Dubai Law No. 4 of 2018 regarding the FAA. This evolution demonstrates that Dubai has recognised the need to update, improve and expand the powers of its supervisory authority by amending its underlying laws and provisions. Whereas the formerly known FAD was a supervisory authority that reviewed the use of public funds, the new FAA acts as an investigative and supervisory authority that broadly governs the flow of public funds in Dubai and inspects any violations that may impact the efficacy of public resourcing. The new law defines and adds functions to the newly named FAA whilst improving the regulations and functions of the authority, the controlled entities and key people such as the Chairman and the Director General. The FAA has also been granted wider powers than its predecessors, such as international co-operation and the authority to enter into international agreements with a view to enhancing Dubai’s role in cross-border collaborative efforts to combat global flows of illicit funds. This process of evolution reflects the resilient approach the Dubai authorities have taken to ensure that the country is equipped to detect and defend against financial crime. Despite its strict remit concerning the integrity of funds related to the public sector, the new FAA targets both private and publicly owned companies that are involved in managing and regulating the flow of these funds in Dubai. All the controlled entities are duty bound to inform the FAA of any violations regarding the applicable rules, provisions of the general budget and the rules regulating contracts and agreements. Additionally, the controlled entities are required to submit their annual financial statements and supporting documents in order for the FAA to proceed with their auditing works. any entity related or connected to the financial or administrative violations committed in any of the abovementioned companies. This represents an extension of the powers of the previous FAD in that it has widened the scope of companies that fall under its oversight. Since the issuance of the FAA Law, entities that have been granted a government financial subsidy and all entities entrusting the authority to conduct their auditing have been included under the umbrella of the FAA. Pursuant to the FAA Law, His Highness Sheikh Maktoum bin Mohammed bin Rashid Al Maktoum (Deputy Ruler of Dubai) has been appointed as Chairman of the FAA. In so doing, the new Decree adds a higher authority to the FAA, considering the previous FAD’s highest authority had been the Director General His Excellency Abdullah Mohammed Ghobash. additionally, the FAA Law provides for the formation of a Grievances Committee as an additional avenue for dispute resolution. This committee grants the offending employee (which may be an employee of any of the controlled entities) the opportunity to justify his/her actions or prove his/her innocence without the need to refer the conflict to the Public Prosecution or the Courts. Any offending employee in the controlled entities that faces disciplinary punishment is allowed to file a written grievance with the Grievances Committee objecting to the decision made against him/her within 15 days of being notified, while agreeing to waive his/her rights from resorting to the Courts. The Grievances Committee consists of three to five members from the FAA as delegated by the Chairman of the FAA, the Supreme Legislation Committee in the UAE and a member of the controlled entity to which the employee belongs. The Grievances Committee’s decisions cannot be appealed and are considered final. investigations conducted by the FAA are initiated by the Director General or his delegate through suspension of the offending employee of the controlled entities until further notice, seizure of relevant documents, notification to the Public Prosecution of the investigation and imposition of disciplinary punishment on the offending employee if necessary. the FAA Law states the procedures the Chairman, the Director General, Executive Managers, Experts, Technicians and all Auditors to take an oath on appointment. This procedure has been introduced in a further attempt to ensure that the work of the FAA is protected, and of a sufficient standard so as to be a reliable form of evidence against any of the controlled entities or their employees where necessary. The oath is a means to validate the legitimacy of their work. the FAA Law also empowers the authority to audit the internal control systems of any controlled entity in co=operation with any concerned authority in any of the other six Emirates to verify the efficiency of the systems by evaluating their costs, assets, data and investments. This co-operation between all seven Emirates is an instrumental aspect of the national strategy to prevent illegal activity at the Federal level. In its holistic approach to legislative reform, the weight of the FAA is also impacted by revisions to legal provisions contained within separate laws. 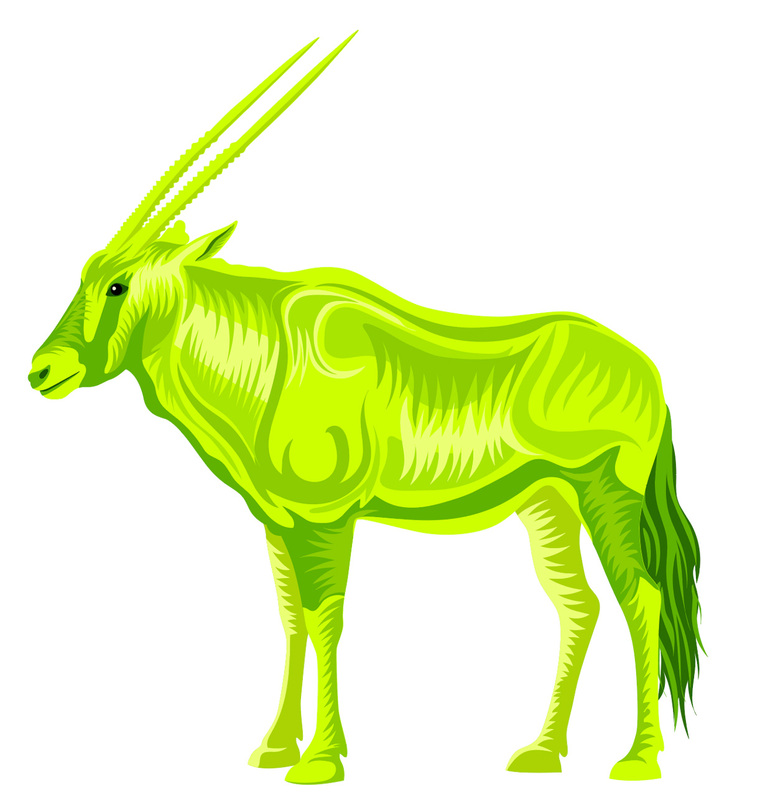 The UAE recently introduced the Federal Decree Law No. 24 of 2018, amending certain penalty provisions issued under the Federal Law No. 3 of 1987 Promulgating the Penal Code, increasing punishments for many crimes including bribery and corruption. The Penal Code imposes the penalties for crimes that the FAA uncovers and investigates. The impact of increased penalties was demonstrated in 2017, when the Court of Cassation sentenced the CEO of a government-owned real estate company to ten years imprisonment, deportation and a fine worth AED 35 million for causing wilful loss to public funds with intent to unjustly enrich himself and others by AED 20 million in exchange for awarding contracts in favour of two other companies, leading to a conflict. The CEO, alongside nine other defendants, conspired to profit from the company’s real estate account by exchanging bribes for influence in facilitating projects with other associated companies. The company’s audit report showed that millions were suspiciously transferred to the CEO’s account which led to the intervention of the prevailing audit authority at the time, namely the FAD. The FAD’s investigation linked the source of transfers and all payment methods used to bribe the CEO. The ruling in this case was contingent on the FAD’s detection and report on public fund damages and its ability to identify the perpetrators. Though this case involved the intervention of the FAD, it is a clear example of how the new authority, the FAA, with its expanded capacity, is anticipated to play an even greater role in detecting any type of violation relating to public funds and to intervene where necessary. It has been less than one year since the establishment of the FAA and, as such. it is still in the nascent stages of determining its role within the UAE’s wider anti-corruption drive in co-operation with other relevant authorities. Implementation of the FAA Law has been enhanced by dedicated training initiatives, such as one held in July 2018 by the Public Prosecution for the Financial Audit Authority’s team of auditors. This session was aimed at briefing FAA employees on the prosecutorial perspective of relevant crimes and instructing them on the mechanisms for investigating crimes relating to public funds and demonstrating the necessary findings of the investigation. 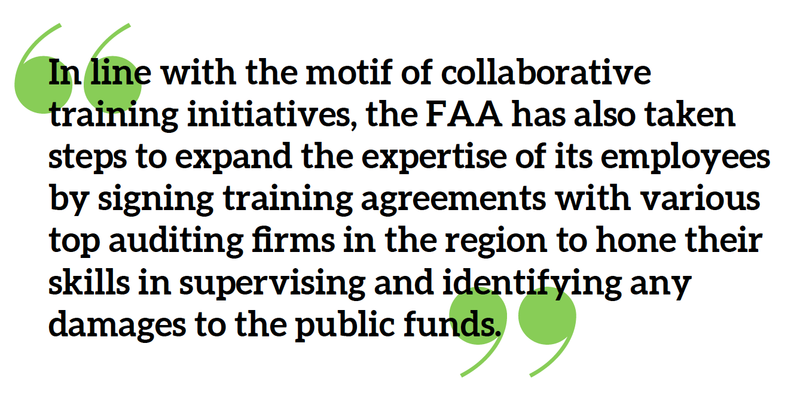 In line with the motif of ‘collaborative training initiatives’, the FAA has also taken steps to expand the expertise of its employees by signing training agreements with various top auditing firms in the region in order to hone their skills in supervising and identifying any damages to the public funds. Ultimately, the new and improved FAA is another string in the bow of Dubai and UAE authorities to detect, prevent and eventually eradicate illicit practices from public office. By empowering the FAA to effectively address these issues, the government hopes to insulate public funds against the risk of abuse by criminal actors and ensure that resources are effectively expended towards the public good and national economic development, rather than unjust enrichment. In essence, the FAA is a crucial part of Dubai’s first line of defence against illegal activity in government and showing the sharp end to any guilty perpetrators.